Metal theft has rapidly become a scourge on our industry, with public sympathy focusing on the victims and eyeing anyone involved in the industry with distrust. The recent amendments to the Bill announced in May and due to come into force in August are generally welcomed in the industry as they offer scrap metal merchants the opportunity to confirm their honesty and integrity. However, the system won’t be foolproof as the Government has had to provide exemptions for itinerant scrap metal collectors who often have no way of receiving payment via any other means than cash. According to many within the scrap metal industry, the Government’s proposal to mandate cashless payment for the purchase of scrap metal should apply to all ellers, with no exemptions allowed. This view is strongly endorsed by the sectors especially hard-hit by metal theft – transport, infrastructure, the Local Government Group, the Church of England and the War Memorials Trust – and by the law enforcement agencies. Whatever the rights and wrongs of this, from an IT perspective, exemptions add an additional level of complication that needs to be addressed. As I discussed back in the February issue, most companies will already have the ability to make electronic payments in place, whether via BACS or Chaps or via a credit/debit card or Paypal (or other web-based payment service). These will work fine for your regular suppliers, where accounts are already set up and the seller is known and trusted. The shift from cash to cashless will inevitably cause a bottleneck as new accounts and payment details are set up and checked etc. If there is a loop-hole in the law that allows one type of merchant to deal in cash, will it turn out to be easier for the scrap metal dealer to simply lump any ‘dubious’ sale into this category? There is some doubt about whether or not the bill will achieve what it is setting out to do. And with some justification. You have to say that if a person is willing to risk their life to steal high-voltage electric cables, they are unlikely to be deterred by the risk of prison from a bit of credit card fraud or identity theft. Cashless on its own won’t scare off the metal thieves so some serious thinking needs to be done to remove any potential loopholes. The scrap metal industry itself believes that a cashless system will act as a powerful deterrent to organised and particularly opportunistic theft of metal, since conversion of the metal into instant cash (“with no questions asked”, in the words of Lord Henley) would no longer be possible. In addition, by virtue of a bank-to-bank transfer, the government claims that the identity of the seller and the details of the transaction will no longer remain hidden, but open to inspection. 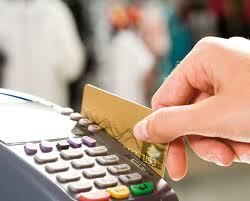 One thing that a cashless system does provide is the ability to trace the payment. Unfortunately, once the consignment has been dumped onto a bigger pile of the same metal, there is no physical evidence to back this up. The dishonest trader might bring in some genuine scrap but hidden within it is a load of stolen bronze or copper that gets weighed in, paid for and piled into the yard with all the other materials. If the police then identify the metal as stolen, all you can then do is say who you have bought metal from, not be able to say with certainty which metal it was. This creates a lot of additional work for the police. They may already have their suspects, but unless they can prove who brought in the stolen goods, they have no solid case. Unless it is segregated by consignment, material in a scrap metal yard is almost untraceable and this is not highlighted in the bill. Similarly, with plenty of criminals guilty of ID fraud there will always be too many unknowns to properly prepare a case against someone that results prosecution. There is also a question mark over the exemption clause for itinerant workers. The Tornado project carried out by the police over the last year focused on ensuring traders could show proof of identity, but how enforceable is that for a worker with no fixed abode. The way modern IT systems are developed, as well as the proliferation of high quality, functional, rugged, yet affordable handheld devices can help overcome many of these problems by integrating them into the core accounting an business management systems. It would be relatively straightforward to take a photograph of both the trader and the stock they are selling and be able to archive these together to develop an audit trail if the metal is suspected to be stolen. This would provide many important advantages. Not least, when a trader is sent down to the storage end of the yard from the weighbridge, in a manual system he takes a ticket that says how much metal he is depositing and this is confirmed when he drops it off. He then takes the ticket to the office for payment and it is not unheard of for this ticket to have an extra nought or two added to it. If the yard operators are entering information directly into the IT systems through their PDAs, together with photographic evidence, vehicle registrations and accurate materials data, there is no chance for the trader to trick the system and would also make avoiding identification much, much harder. Don’t get me wrong. A cashless system is very important and will be very useful for metal traders. Modern businesses simply don’t want to deal with cash, it’s messy and rife with potential problems. The main problem is that the whole topic is riding on a parliamentary bandwagon and everyone is falling over themselves to put a proposed ‘solution’ in place. Unfortunately, the solution they have come up with is simply insufficient and does not achieve its core objective, which is to put an end to the socially and morally corrupt crime of metal theft. This entry was posted in Business, Technology and tagged metal theft; cashless payments; waste mangement; recycling metal; by Jason. Bookmark the permalink.